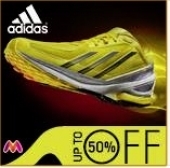 Myntra Upto 50% Off on Adidas Limited Period Offer..
Zovi UPTO 40% OFF 365 Days SALE For Men&Women Hurr..
Gritstones Pack of 2 Striper Polos Now @499..
Get 200 Off On Purchase Of 201 Apparels @ Basics L..
Pay Only For 1 And get 2 maybelline Colossal Kaaja..
50%+40% Upto Off On All Accessories And Clothing @..
Jabong FLAT 50% OFF Hurry Up Shop Now..
Get 50% Off On TSX Pack of 4 Polo Neck T-shirts ..
Phoenix Pack of 2 Formal Shirts @ 399..
Lexar JumpDrive FireFly 32 GB USB 2.0 Flash Drive ..
Indiatimes Freedom Sale-Discounts on Mobiles, tabl..
Flat 50 % And Above Off On Shoes @ Snap Deal.. Mother Earth Women Apparels flat 50% discount with..
Yepme Two Socks & Casual Shoes Pack Now for Rs.479..
Upto 50% Off On Kids Wear @babyoye.com..
Flat 50% OFF on Women Clothing@ Fashionara..
Flat 56% Off On Yepme Tracksuit, Sunglasses,Watch,..
Flat 50% Of On Shoes,Clothing,Footwear,Bags,Beauty..
Upto 54% Off On Kids Shoes,Necklace with Bracelets..
50% Off On Pack Of 1 Shirt&1 T-Shirt with Free Rak.. Fashion IC Salwar Kameez Dress Material at 81% Off..
New Brands Upto 50% Off @ Fashionara..
Bonita 20 Pocket Accessories Organiser Now Rs.666 ..
20% Off On All Mens CLothing @ Basicslife..
Flat 38% Off on Mens Footwear@ Snapdeal..
Fashionara Hot Offer Upto 50% Off On Diva Kurtis |..
Jabong Offer Buy 1 Get 1 Free On Kiara Bags&Access..
Jabong Buy 1 Get 1 Free On Apparels ..
Flat 50% off plus 25% off on purchases above Rs 14..
50% and above Sale On Mens Clothing @ Snapdeal..
Combo Pack Of Shoes,Watch & ,Sunglasses For Rs.799..
Big Sale Upto 66% Off On Clothes @ Babyoye..
Fashionara Flat 50% Off On T-Shirts..
Upto 51% Off On All Cloths @ Babyoye..
Tradus Offer Denim Jeans Starting From Rs.399..
Get Flat 50% Off On 1500 Products At Myntra..
Tradus Upto 65% Off On All Reebok Footwear..
Flat 50% Off On Mens&Ladies Clothing Hurry Up @ Fa..
Snapdeal Deal Of The Day 67% Off On Pack Of Kids 5..
Flat 50% Off On American Swan Products At Myntra..
Flat 50% Off On All Tees - T-shirts @ Fashionara..
Flat 30% off onTraditional Wear. 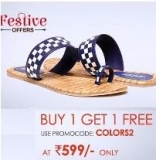 Festive season of..
50% off On Farenheit Blue Sunglasses @ Jabong..
Reebok 47% Off On 3 pack Deodorants Assorted 75ML .. Pack Of 3 T-shirts & Free Sunglasses For Rs.399 At..
Flat 40% off On CALVIN KLEIN Brand @Myntra..
Flat 30% Off On Footwear @ Myntra..
Get Mens Sports Shoes For Rs.499 At Zovi..
45% OFF on Designer Classics T-Shirts at Indiarush..
Women Sandals Starting From Rs.99 At Yepme..
Flat Rs. 200 OFF on all Branded clothings @ Jabong..
Flat 50% off | Tees @ Rs.199, Shoes @ Rs.499, Shir..
Men Phosporus Tee Starting at Rs. 200 & Women Tant..
Get Mens Jeans At Rs.399,Rs.839 At Yepme..
Koutons Brand Combo of 3 Pack of Trousers at just ..
Upto 50% Off On Bed Linen 100% Cotton Bed Sheets A..
Get Sports Shoes Free With Yepme Tracksuit at Rs.9..
69% Off on Pack of 2 - Gritstones Mens Hooded Tshi..
Snapdeal Offer 55% Off On Mens Apparels..
Basiclife Flat 20% Off On All Jeans..
Upto 38% Off on Men Kurtas At Indiarush..
55% Off On Moksh Shirts For Rs.399 At Snapdeal..
Upto 50% Off On 5400 Products At Myntra..
10% Cashback Offer On Ray-Ban Sunglasses at Snapde..
50& Off On Oleva Erona Modish Necklace Set At Snap..
61% Off On Colour Me Perfume EDT for Women At Trad..
71% Off On Lotto Tolosa White Sports Shoes At Snap..
23% Off On Beverly Hills Polo Club Combo of 6 Clas..
Puma Speeder Running Shoes For Rs.899 AT Tradus..
61% Off On Puma Pack Of 3 Basic Tees at Groupon..
Groupon Hot Deal 50% Off On Puma Stamp Flip Flops..
Snapdeal Offers Selected Perfume at Rs.499..
Buy 1 Get 1 Free on Ladies footwear at Jabong..
Buy 1 Get 1 Free offer Innerwears at Fashionara..
Additional 10% Off By Like&SignUp From Facebook At..
Flat 24% discount on Lakme Perfect Radiance and SP..
Get Women Shoes below Rs.999 @Metro Shoes ..
Reebok White & Red Running Shoes For Rs.1349 At Sn..
50% Off On Roadster Men Grey & Blue Casual Shoe At..
V-Neck T-Shirt Pack of 2 with Free Hand Towel For ..
Fashionara Offer Flat 50% Off ELLE Brand Products..
Casual Tees Hooded Sweatshirt For Rs.1499 At Snapd..
Get free Sports shoes on purchase of a Tracksuit f..
Flat 50 % OFF on Kids Apparels @ Babyoye..
Koutons Straight Fit Chinos Pack Of 3 Pants For Rs..
Buy 1 Get 1 Free Gansta Sunglasses At Snapdeal..
64% Off On Reebok Mobile Runner Grey & Feather Blu..
40% Off On British Terminal Royal Black Stretchabl..
Flat 67% Off on Women Sandals @ Yepme..
Nike Cool Wind & Blue Wave Deodorant For Men 200 m..
50% Off On Slim Fit Button Fly Jeans At Fashionara..
Flat 10% Cashback on Rayban Sunglasses @ Snapdeal..
44% Off On Bacca Bucci Breezy Blue Casual Shoes At..
Fashionaras deal of the day 40% off on MOHR appare..
Reebok Value Set of 3 Deodorants For Rs.299 At Tra..
50% Off On Home Candy Set of 2 Red Fur Cushions wi..
Almoze Premium Viscose Leggings Pack Of 3 For Rs.2..
Upto 50% off on kids Footwear @ Babyoye..
30% Off On Stylish Denim Jeans At Zovi..
20% off on Basics Jeans @ Basics Life..
Jabong Hot Offer Upto 40% Off on Biba..
Upto 50% On Only Store Women Dresses At Jabong..
Flat 50% Off On Kids School Bags At Snapdeal..
NBA Combo Pack Of Perfume & Deodorant For Rs.349 A..
50% Off On Street Junkies Cool White T-Shirt At Sn..
NX Pack of 2 Jeans For Rs.699 At Tradus ..
Flat 40% off on Womens Footwear @ Myntra..
Flat Rs.399 On Stylish Shoes At Yepme..
Cotson Olive-Purple Pack of 2 Polo Neck T-shirts W..
Myntra Flat 50% Off On Roadster Casual Shoes.. 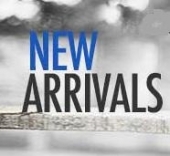 Enjoy Upto 30% Off On Peter England Men Clothing A..
50% Off On Addiction Printed Fashion Tops Pack of ..
RTS White Sports Shoes For Rs.399 At Tradus..
Spinz Exotic Women Deo Pack of 3 For Rs.445 At Sna..
Flat 20% Off Triveni Sarees At Fashionara..
40% On All Myntra Products..
Upto 40% Off On NUMERO UNO Brand @ Fashionara..
Lotto Traunt Blue And Red Men Sports Shoes at just..
Phoenix Blue Jeans For Rs.409 At Snapdeal..
Upto 40% Off On Prozone Nicholas Gas Sandals At In..
Flat 20% off on Basics Mid Brown Plain Trousers @ ..
Flat 50% off on Babyoye Benetton stripes Tops @ Ba..
55% off on Agam Fusion Linen Black Kurta @ Go Untu..
60% Off On Men Bottom Wear At Snapdeal..
Fort Collins Pack of 2 T Shirts With Free Sunglass.. Hot Deal 70% Off On D&Y Contemporary Printed Saree..
Get 30% to 100% Cash back Ladies apparesl @ Shoper.. Fashion Steals Flat 50% Off At Myntra..
Flat 50% off on Deal Jeans @ Fashionara..
Flat 500 Off On All Footwear @ Myntra..
Yepme Offer Get Shoes At Rs.399 Worth Rs.499..
Snapdeal Deal of The Day 55% Off On Hair Dryer WHH..
50% Off On Evotek Mens Navy Blue Sandal At Tradus..
Vivaa Multi Colour Kurti For Women Pack of 3 For R..
Myntras FLAT 40 SALE. Get 40% off on the hit list ..
Deal Of The Day. Flat 77% off on Lotto Sport Shoes..
11% off on Prozone P 146 Blue & Green Sport Shoes ..
Inaugural Offer, Upto 40% off on Numero Uno Shirts..
Brut Original Pack of 2 Deodorant 200ml Each for j..
Yepme mens Shoe at Just Rs. 399 @ Yepme..
Sarees at Flat 25% off only on Yepme..
Flat Rs.500 Off On Mens and Womens Footwear @ Mynt..
Buy 2 Premium Polos for just Rs.899 Only @ Zovi..
Buy 1 Get 1 Free Offer On Mens & Womens Innerwear ..
Upto 60% Off On Women Apparels @ Jabong..
50% Off On Barbie Birthday Princess At Snapdeal..
Flat 50% off on Nell Slippers @ Snapdeal..
Womens Kurtis at Flat Rs.399 @ snapdeal..
50% off on Loafers with Laces @ Groupon..
Ladies Nightwear @ Rs.199 One Day Sale @ Snapdeal..
Clearance sale, Flat 50% off @ Myntra..
Get Upto 50% off on United color of Benetton @ Fas..
Upto 60% OFF on CATWALK Brand @ Fashinara..
Secret Sale Offer, Flat 50% off on Top Brands @ Fa..
Flat 50% OFF on Women Kurti @ Yepme..
SPECIAL OFFER ! Buy Biker Jacket and Shoes combo f..
Buy any 3 Sandals for Just Rs.399 @ Yepme..
Flat 30% OFF on Kids Apparels @ Jabong..
25% off on John Player, Lee, Levi, Flying Machine,..
Canvas Shoes starting at Rs 499 @ Jabong..
Flat Rs 500 OFF on Women Apparels for GILI Brand @..
Flat 40% + Extra 20% off on Red Tape Shoes @ Fashi.. 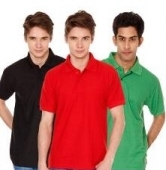 Pack of 3 Mens T-Shirts + Free Watch & Sunglasses ..
Remanika Apparels at Flat Rs. 499 / 699 @ Fashiona..
Mens Shoes At Flat Rs.369 + Extra 10% Off @ Yepme..
Upto 40% OFF on Men Footwear @ Fashionara..
Flat 50% + Extra 20% Off On Select Clothing @ Fash..
Reebok Value Set Of 3 Deodorants Reeplay, Reenergi..
Rs.500 Off On Mens and Womens Footwear @ Myntra..
Flat 30% + Extra 10% Off On Polo T-Shirt @ Yepme..
Sketcher Shoes at Flat 58% Discount @ Groupon..
Buy any 2 Roadster Apparel & Get extra 30% Off @ M..
Flat 25% OFF on Ladies Indianwear @ Fashionara..
Women jeggings at Rs.249 @ Snapdeal..
Phosphorus Multi Color Pack Of 2 T-Shirts at Rs. 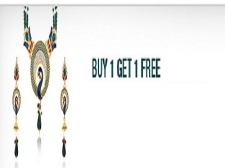 4..
Buy any 2 Zovi Tops & Get Flat Rs. 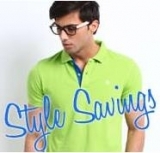 200 OFF @ Zovi..
Flat 20% OFF on Roadster Shirts @ Myntra.. 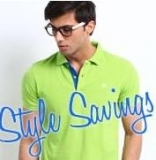 Pack Of 3 T-Shirts With Free Sunglass + Watch at J..
60% off on Pack Of 2 - Sleeveless Jacket For Men @..
Fort Collins Men & Women Sweatshirt at Just Rs. 66..
Yellow Jeans at Rs. 549, Web Denim Jeans at Rs. 63..
Diwali Special, 5 Kids T-Shirts at Rs.499 from sna..
Kurtis Starting from Rs. 299 @ Zovi..
Myntras The Hit List Offer, Flat 40% off..
15% OFF on All Linen Apparel & 20% OFF on All Non ..
Sale Upto 70% OFF @ Yepme.. 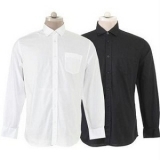 Stylish Zovi Shirts Starting From Rs. 499 @ Zovi..
Roadstar Shirts at Flat 20% off @ Myntra..
Mens Bottomwear at just Rs 409 @ Snapdeal..
Get 15% Cash Back over any offer @ Jabong.. Weekend festive offer by Myntra, Flat 20% off on t..
Cracking Divali offer, Flat 25% off on purchase ab..
Road Star Shirts at Flat 20% off @ Myntra..
75% off Handloomhub 2 Checkered Aprons for Just Rs..
Globalite Men Maroon and Black Shoes for Just Rs. 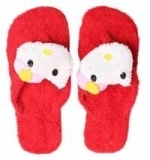 ..
Chhota Bheem Kids FlipFlops at Flat Price of Rs. 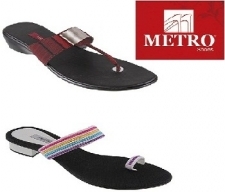 1..
70% off on Fashionable Women Sandals for just Rs. 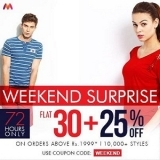 ..
Myntras Keep It Layred Offer, Upto 60% Off on Wint.. Celebrate this divali with flat 30% off and additi..
Festive Offer From Tradus, Unstiched Dress materia..
Buy 3 Top Brand T shirts and get 33% off @ Jabong..
56% Off on Club York Navy Sweater @ Snapdeal..
Upto 50% off + extra 25% off on kurtis @ Yepme..
Yepme mens sandals starting from Rs.299..
Upto 40% off on Mens Wathes @Yepme..
66% off on Imported Burberry Mens Bu9006 Watch@ Tr..
Upto 40% off on Dressberry footwear @ Myntra..
Myntra offers you Buy 1 Get 1 Womens Western Wear..
36% off on Fort Collins Orange Navy Pack of 1 Swea..
Kaizen Pack of 3 Elegant Polo T-Shirts With Free M..
Upto 50% off on Puma brands at Myntra..
26% off on Officious Sports Shoes @ Yepme..
Flat 20% Off On Womens Apparels @ Fashionara..
Mens Tshirts Starting From Just Rs.299 @ Zovi..
Flat 25% off on Top Branded sunglasses @ Snapdeal..
Get 67% off on Reebok Mass Premium Pack Of 3 Deodo..
Monsoon Special Additional 20% Off On Eyeglasses &..
Zovi Hot Offer Rs.100 Off On 500 On Footwear,Cloth.. Extra 5% off on Zovi Casual Shoes @ Zovi..
Flat 50% off no minimum purchase @ Zovi..
Get an additional discount of 20% on the SALE 365 ..
Flat 20% off Plus extra 30% off @ Myntra..
Flat 21% OFF on Ladies Tees and Tanks @ Fashionara..